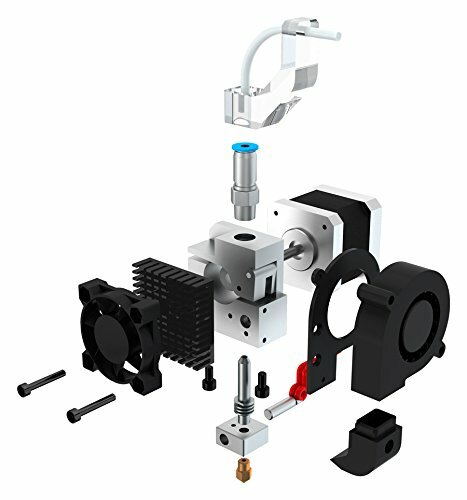 The HeatCore Unibody was designed with the priority of ensuring that the printing system was stable and free from leaks. The best way to do this was by reducing the number of parts and joints. This is why our HeatCore Unibody hot-end is formed of a single piece of AISI 303 stainless steel. We selected this material for its high thermal conductivity which enables the system to reach the desired printing temperature even faster. What´s more, to facilitate passage of the filament, the HeatCore Unibody has been electropolished: electropolishing is a chemical and electrical process that polishes the internal walls and reduces the number of irregularities, which optimises the passage of the filament and reduces the chance of blockage. Everything needed for assembly it is included.